Do You Know What Your Lymph System Does? The lymphatic system’s primary function is to transport lymph, which is a clear, colorless fluid that contains white blood cells, helping to rid the body of toxins, wastes, and other unwanted materials including airborne pollutants, food additives, drugs (of any kind), pesticides, etc. It is made up of glands, lymph nodes, the spleen, tonsils and the thymus gland. The lymph system also absorbs fats and fat-soluble vitamins from the digestive system, delivering the nutrients to the body’s cells. In the past, researchers and other experts ignored the importance of the lymph system, but in 2012, scientists from USC stated that they found that it is no less essential than the blood circulatory system for human health and well-being. In fact, they felt it should be considered, the “other,” and not secondary, vascular system in human physiology. This system is essential for tissue repair as well as inflammation in most organs of the body – any dysfunction results in blockage in the flow of lymph. This also causes damage to the immune system. Ensuring that your lymphatic system is flowing smoothly may be a key factor for improving well-being, eliminating or reducing pain from arthritis and headaches, and even helping to lose weight. A sluggish lymphatic system can have a serious impact on health – it’s been linked with many chronic illnesses like fibromyalgia, MS, chronic fatigue syndrome, and even cancer. Symptoms can include general body aches and pains, frequent infections or illness, fatigue and swollen glands. Drink plenty of water, as dehydration is a major cause of impaired lymph functioning. Ideally, you should drink at least half your body weight in ounces of water. For example, if you weigh 120 pounds, you should drink 60 ounces of water per day. Avoid soda as well as any other drinks that contain toxins like colors, preservatives, artificial ingredients and/or added sugar, which only serve to overtax the lymph system. Get regular exercise, as this system relies on activity and muscle contraction in order to move lymph throughout the body. Rebounding is a great way to keep the lymph system healthy. Practice deep breathing on a regular basis, as the lymph system relies on the pumping action of deep breathing to help it transport toxins into the blood before they’re detoxified by the liver. 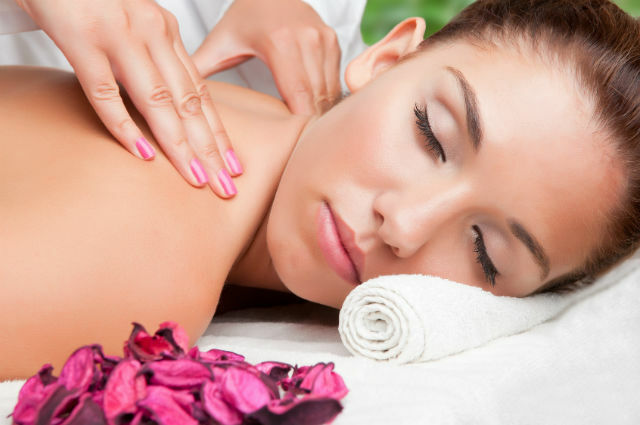 Getting a gentle massage helps to increase lymph flow and can also help battle stress and fatigue. Studies have shown that it helps push lymph back into circulation and also aids in freeing trapped toxins. Use a natural bristle brush on your skin just after showering to help move the lymph. Brush in circular motions starting with the feet, moving up to the torso and from the fingers to the chest, working toward the heart. Eat raw fruit on an empty stomach, as the enzymes and acids help to cleanse the lymph. Keeping your lymph system functioning optimally offers a multitude of benefits; you’ll likely experience less pain and illness as well as having more energy throughout the day. Hey Buddy!, I found this information for you: "Do You Know What Your Lymph System Does?". Here is the website link: https://www.thealternativedaily.com/know-lymph-system/. Thank you.